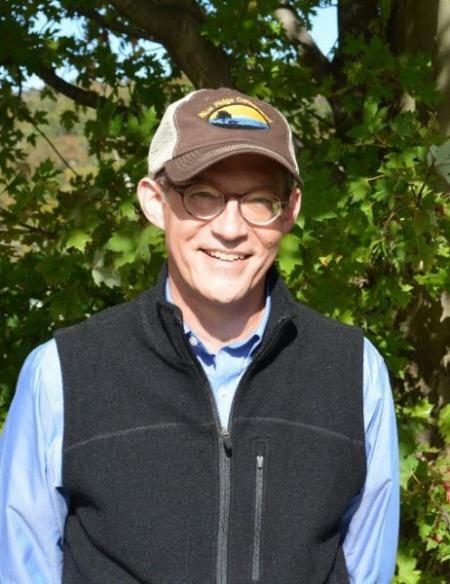 Blue Ridge Conservancy is excited to announce Charlie Brady as its new Executive Director. Charlie is an avid outdoorsman and has a strong commitment to land conservation. A native North Carolinian, Charlie has expansive knowledge of the geography, ecology, history, and culture of the High Country. He has served on the State of North Carolina Environmental Management Commission and on the board of Foothills Conservancy in Morganton. Through his law practice Charlie has helped local land trusts navigate through legalities with conservation easements and acquisitions. "We are thrilled that Charlie will be leading the BRC team. We will benefit greatly from his passion, his commitment to the mission, and his exceptional ability to connect with people and create collaborative relationships," said BRC Board Chairperson, Ann Browning. "Charlie is ready to hit the ground running. Under his leadership, our staff, dedicated supporters and community partners will be working together to elevate land conservation efforts in the High Country." Before joining BRC, Charlie practiced law with Clement Law Office in Boone. His relationship with BRC began here by advising, litigating, and negotiating real estate conveyances for conservation properties for the Conservancy. He played an active role to conserve a parcel of land that will become a part of Elk Knob State Park. "I am extremely honored and excited to become part of the Blue Ridge Conservancy team. The Conservancy has demonstrated its effectiveness by protecting over 20,000 acres of unique land in our region and by spearheading the effort to establish the Middle Fork Greenway between Blowing Rock and Boone. I enthusiastically look forward to working with Blue Ridge Conservancy to build upon its record of success in protecting the land that we love for future generations," said Brady. Charlie received a Bachelor of Arts from the University of North Carolina at Chapel Hill and earned his Doctor of Jurisprudence from Wake Forest University. He is currently a member of the American Bar Association, the North Carolina State Bar, and the North Carolina Advocates for Justice. He also has served on the board for High Country Recreation and Mountain Alliance. Charlie will join BRC on Oct. 18, 2017. Blue Ridge Conservancy welcomes Charlie and is confident that Charlie will be an excellent leader and advocate for its mission to protect land and water resources in Northwest North Carolina. Printed from the High Country Press.